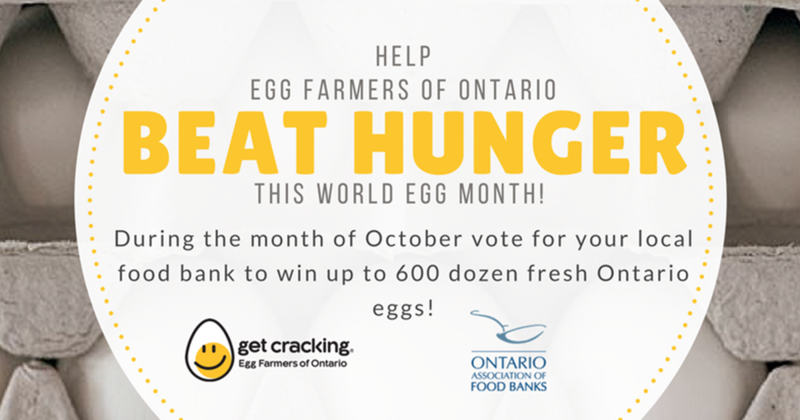 Egg Farmers of Ontario want to Beat Hunger this World Egg Month! This article was posted by sbrien@getcrack... on September 27th, 2017. Egg Farmers of Ontario (EFO) is happy to be back for a second year with our Beat Hunger competition in partnership with The Ontario Association of Food Banks (OAFB). Please note that community food banks are unable to win two consecutive Beat Hunger competitions.